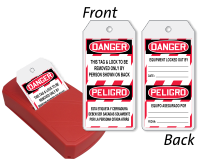 Dispensing Bilingual Lockout Tags was never so easy! Buy this complete Take-A-Tag Dispenser which contains 100 tags and offers easy dispensing solution on site. • 100 tags are arranged in the Take-A-Tag Dispenser in a fan-fold manner. • Simply pull the tag out from the Take-A-Tag and separate at the perforation. 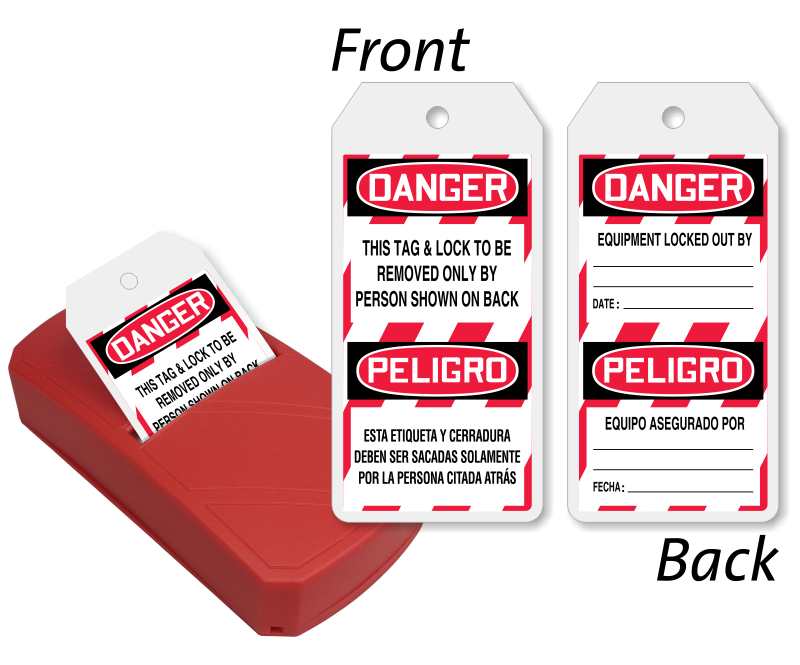 • Lockout tags are printed on both sides. You can also order refill tag pack here.